Most people have heard the phrase “sweeping the dirt under the rug.” But with today’s modern carpeting it isn’t so much the dirt under the rug we need to worry about, but the dirt, allergens, and odors that get ground deep into the carpet fibers where no amount of sweeping or vacuuming can get it out. Eventually this ground in dirt starts making those beautiful carpets look less than best. Add to that those stains from spilled wine, kool-aid, and milk and your carpet is bound to look a little worse for wear. Unfortunately, those carpet cleaning machines designed for home use, or those commercial machine you rent to clean your carpet simply lack the power to get your carpets really clean and odor free. In addition, those chemical cleanings usually recommended for these types of machines, leave behind an unpleasant chemical smell and residue that really isn’t healthy for you or your kids, or your pets. So what is a home maker to do? 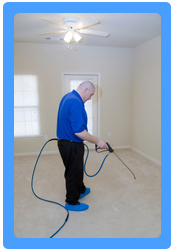 Why not call Gilroy Carpet Cleaning? Our professional carpet cleaning technicians are skilled and experienced at using our state of the art steam cleaning carpet cleaning equipment. Steam cleaning not only deep cleans those carpets, but also kills germs bacteria and allergens so that you home is cleaner and healthier. In addition our company users only organic cleaning products. These green cleaning products are not only better for the environment, but also for your family as they are safer for children and pets than those chemical rug cleaners, and there is no residue left behind, so all you get is a fresh clean and odor free carpet. We also provide both residential and commercial carpet cleaning services so that your office carpets can be as clean as the carpeting in your home. Unlike many carpet cleaning companies who provide their services only from 9 to 5 which are the hours that most Gilroy residents need to work, we at Gilroy Carpet Cleaning design our workday around you, our customers needs which is why we keep extended hours from 8 to 8. For commercial customers we do our best to provide services during the hours your business is closed, because we know you don’t want your clients and customers having to navigate around our cleaning equipment in the course of the business day. 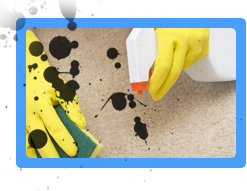 We also understand that there are times, when last minute events take place and you may need or want your carpets cleaned immediately, which why we also offer same day service at your request. Our goal is to not only provide you with the cleanest carpets possible, but to also provide you with the most convenient service to be found in Gilroy. So why not give us a call at (408) 658-0609 or speak to our online representative and set up an appointment to have your carpets cleaned or get a free carpet cleaning estimate today?